Technoscientific advances are a great challenge to our self-perception. The current humanism that seeks a basis in religion or in ourselves, regards science and technology as merely subservient to an unchanging mankind. This one-sided perspective seems no longer tenable, as we are being increasingly shaped by technology. Not just that, it seems to block the path to creatively responding to the great challenges of our day, from poverty to integration to climate change. Are we ready to reboot, to use computerspeak, our thinking about ourselves in relation to technology? 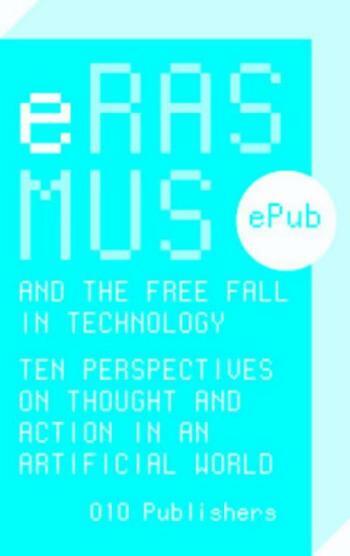 This e-book is the follow-up to Reboot, an art project held in 2009 at Grotekerkplein, the square in Rotterdam where the statue of the humanist and theologian Erasmus stands. With contributions by Taco Noorman, Roel Pieterman, Chris Aalberts, Liesbeth Levy, Carel Peeters, Leo Molenaar, Atze Bosma, Corien Prins, Carla Hoekendijk, Pieter Lemmens and the visual artist Bas van Vlijmen, who organized the project.